The reason I got this series is because my mom got it for me thinking I would like it, and I did. So get it if you like dangerous adventure stories. These books have very sad parts in them; for example a lot of people die from Katniss’s actions. I think that you should give it a look. In this series, Katniss has a dangerous path. She caused a lot of deaths and saw people she cared about die in front of her eyes. Katniss goes in the hunger games with Peeta and fools the gamemasters. Some of the book is actually unbelievable, but the Games themselves are hard to imagine being real. The other parts are more believable, like the war. The relationships the characters have with each other are believable. Katniss is a normal girl, like everyone else, but she has a special talent. She tries to be kind to the people she knows, but she has a temper, as you can tell by when she loses control and lashes out at people, like when an important character dies in front of her. This is a sad series, with exciting adventures and says important things about the world. Like that we have wars because of lies and religion and a bundle of other things. “May the odds be ever in your favor”. This is the phrase in the hunger games first book where you meet Katniss and Gale in the forest in district twelve. 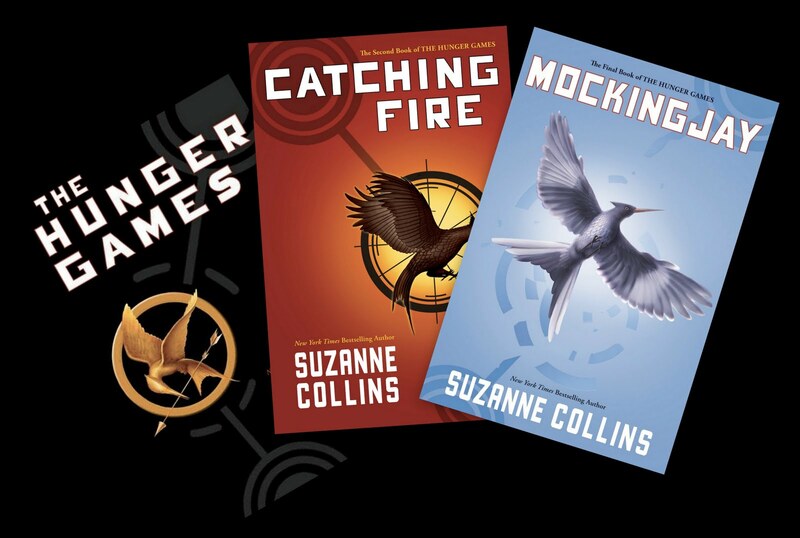 This series contains Katniss’s life in and out of the hunger games. It all started when her sisters Prim name was called to enter the hunger games but Katniss takes her place in the dangerous games. Peeta and Katniss pretend to be in love and are in the most danger ever known in their time. The chance of ruining the story for people who haven’t read it yet is great, so I will stop there for now. Great writing, Kurt. I’ve been wanting to read these for awhile, and you have cemented that.